"GET OUTTA LINE AT THE RUSTY SPURR RANCH!" We will be opening soon for the 2019 summer riding season which operates mid-May through September 30. We are still available anytime time to answer questions or book your reservation. Welcome to Rusty Spurr, Colorado's premier horse outfit. Consistently awarded Trip Advisor's Certificate of Excellence by our guests. 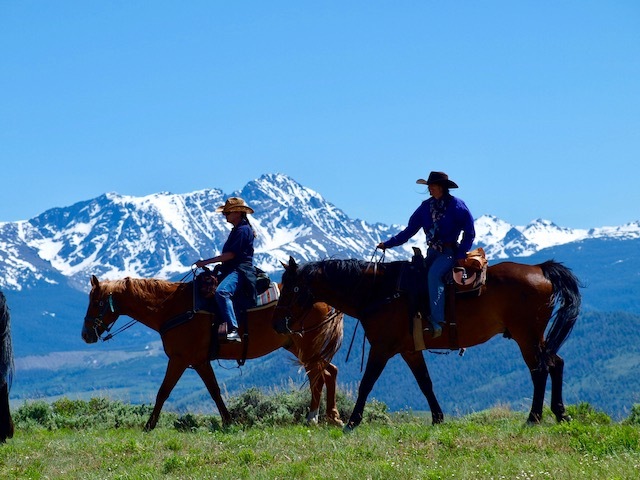 Experience non-nose-to-tail trail rides and cattle drives at our 10,000 acre ranch where you’ll find stunning views of the Rockies, aspen forests and open range bursting with wildflowers. Our well-cared-for horses, small ride sizes, and knowledgeable & friendly staff ensure a unique adventure for everyone. Join us for an amazing horseback ride through the mountains and meadows or double your fun on our all day Saddle & Paddle adventure. 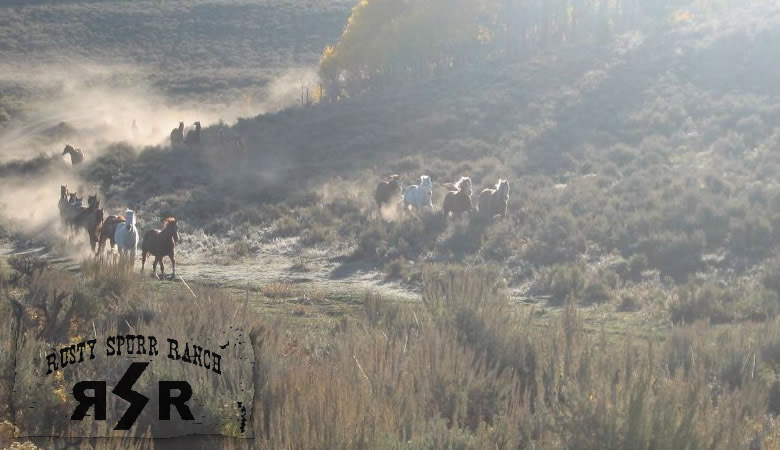 Take part in a Western tradition on our authentic Cattle Drive across 10,000 acres. 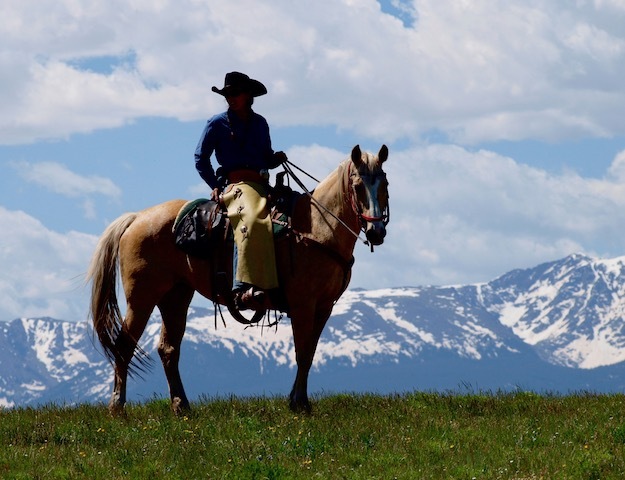 Call or email us today to reserve your 2019 Colorado horseback experience! We are a small company of cowboys and cowgirls that got its start in 2001. We were motivated by the idea of delivering a higher quality, day time horse activity that was still affordable and held closely to the Western ideals of horse/rider interaction. We are still staffed by the same core of people who began this venture, along with a few new additions. Our staff, though small, excels at giving our guests the kind of personal, Western touch that so many outfits have forgotten. While we are always hoping to add new and exciting features to our list of activities, we are most concerned with maintaining a close, personal interaction with each and every guest that joins us here at the Rusty Spurr. For your convenience The Rusty Spurr Ranch will be offering rides 7 days a week! To make a reservation, please call or click the link below to fill out an online form. 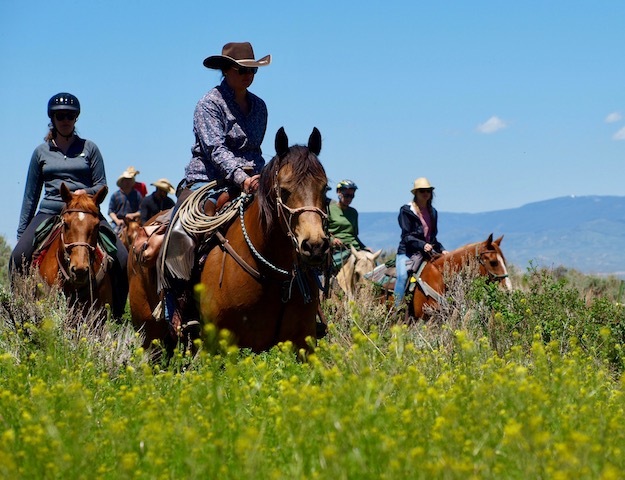 We offer many different kinds of rides including cattle drives, trail rides, saddle and paddle, group activities and team building, and private horseback rides. Click the link below to view all rides and rates.